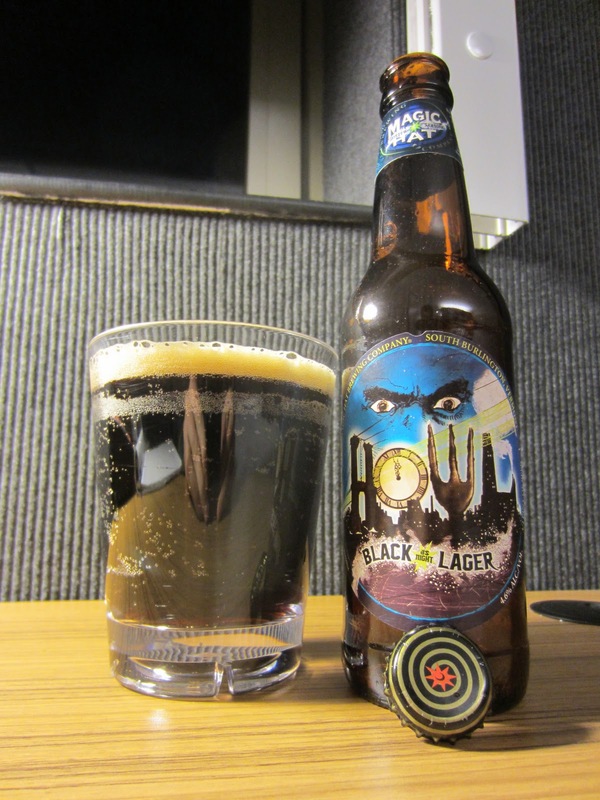 Howl, a black lager/schwarzbier from Magic Hat, pours dark blackish brown with a ruby inner glow. Active carbonation bunches on the edge of the glass and below the medium-sized head. The foam is airy and light tan with modest staying power and light lacing. The nose contains modest smoke with hints of chocolate. Graininess is apparent, even through the moderate toasty notes. The body is light and crisp with slightly sour, tea-like grains, even through the toasted malt flavors. The flavor is underwhelming and very light on the whole. The beer seems a bit watery and the smokey body feels drowned out. A vague sooty smoke dryness brings in a dark roasted flavor on the finish to pick up the intensity slightly on the way out.